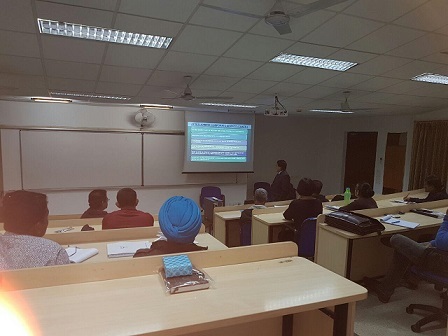 A guest talk on ‘Transition from Defense Services to Corporate World’ was held at IIM Indore on January 10, 2017. Brigadier Manjeet K. Mehta (Retd.) was the speaker for the talk who addressed the Certificate Course in Business Management for Defense Officers (CCBMDO Batch 13) participants and shared his experience of transition from Indian Army to the Telecom Industry. He provided an overview on the corporate governance and role of employees towards sustainable development of the company. He offered practical insights on the opportunities and challenges faced by the veterans through personal examples and anecdotes. 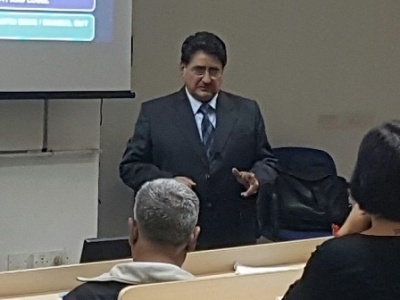 He concluded his enlightening talk with emphasis on the ‘OODA’ (Orient/ Observe/ Decide/Act) principle and its effectiveness in professional growth. The eminent speaker left the audience more confident and comfortable with the task ahead for them as they tread the corporate path. About the speaker: Brigadier Manjeet Mehta got commissioned into Army on December 3, 1972. During his nearly 35 years of army career he held numerous appointments in the Corps of Signals. He joined Corporate in June 2007 and worked for 9 years in two Telecom Companies. He held the post of Vice President, Projects and Operations and later Regional Business Head of Madhya Pradesh, Chhattisgarh, Maharashtra and Gujrat. He currently serves as a Senior Telecom Consultant for many telecom industries. Apart from numerous Army Training Courses including Higher Defence Management, he holds a B.Tech. Degree, Masters in Management Studies and is also Member of all India Management Association.